A term you'll hear me use occasionally is "trading the edges". In a sideways market with no particular bias either direction, taking trades only in the vicinity of the outer edges of the trading range; in particular when it traps a "breakout" trader. 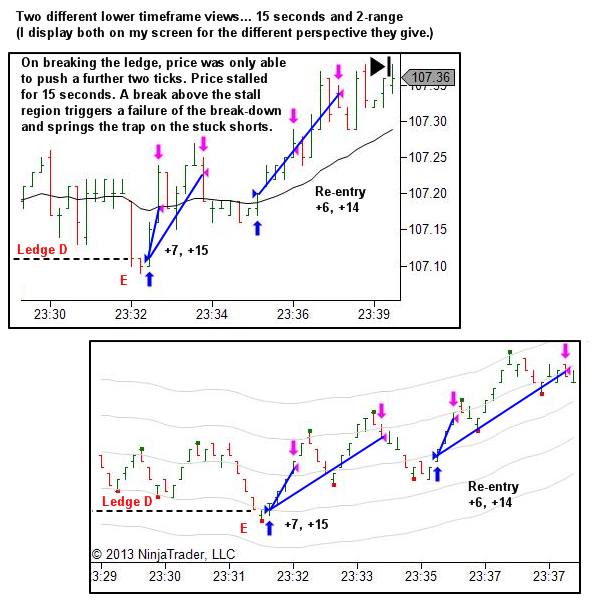 Trades may be taken long from the vicinity of the lower range support or short from the upper range resistance. 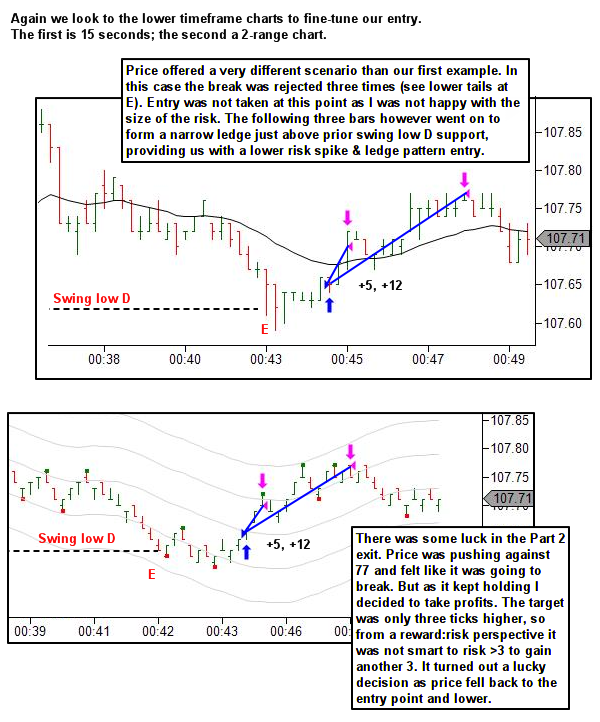 In a sideways market with a slight directional bias, taking trades only in the vicinity of the range edge that is against the bias. 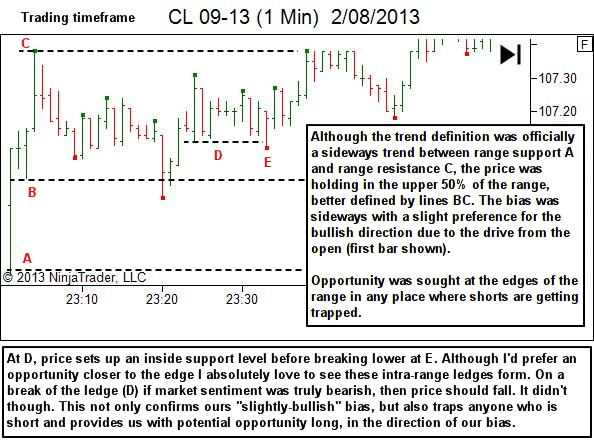 This may be either a long in the vicinity of lower range support, if the market has a bullish bias. 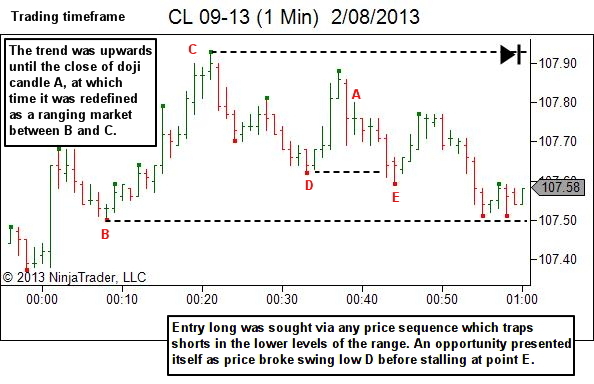 Or a short in the vicinity of the upper range resistance when the market has a bearish bias. Again my preference is to be patient and wait for someone to be trapped against the bias.